Amberen Review (UPDATED 2019)– Is it Good For Weight Loss? Amberen Review – Is it Good For Weight Loss? Once women hit menopause, they have reached another chapter of their lives. Their metabolism starts to slow down, hormones get imbalanced, lifestyles change and weight gain may happen. That’s where Amberen steps in, offering to make the transition in life easier to deal with. So is this the answer that women from all over have been waiting for as they hit their elder years? Or is this just another product with hollow promises, much like a bad boyfriend? We decided to find out. Amberen is manufactured by the Los Angeles based Lunada. Lunada claims that it’s mission statement is to increase longevity and improve human health by focusing it’s energies on the hypothalmatic and mitochondrial functions, which are the ones that are responsible for age related issues. Lunada produces two products, Amberen and Potensa, which is geared to help men who have sexual dysfunction. 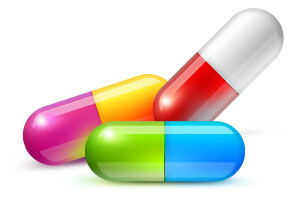 Amberen may be bought on the company’s website, as well as third party retailers, some of which include GNC and Amazon.com. 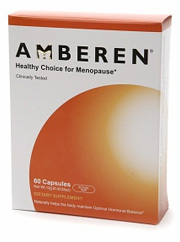 Amberen claims to be a product that can help with menopause relief. When menopause happens there is a hormonal imbalance. The hypothalamus, the part of the brain that sends out hormone responses, becomes less able to send out signals as women get older. Amberen works by helping the hypothalamus act as it used to, while at the same time supplying the female body with nutrients that there are deficits of in menopause. Despite it’s claims, not every woman who took this product found the results they were looking for. The ingredients included in Amberen are meant to help with mitochondrial issues that women may have when they undergo menopause. The ingredients included are all in a proprietary blend, so the amounts of any one ingredient are not given. Known to penetrate the membranes that signal molecule and metabolic substrate. Activates the sympathetic aspects of the central nervous and peripheral systems to normalize hypothermus functioning. Helps regulate hormone production. Also helps reduce free radical damage and improves blood flow. A source of calcium that helps women prevent osteoporosis, which is common in women with menopause. A form of magnesium that is easily absorbed and helps keep the cardiovascular system healthy. With glycine helps the psycho-emotional balance within menopausal women. Improves metabolism and normalizes carbohydrate and fat metabolism, which are problems with women in menopause. Helps regulate brain activity. When combined with magnesium, helps balance the psycho-emotional balance, which may be a problem with menopausal women. A fat-soluble antioxidant version of vitamin E that helps stabilize membranes as well as helps protect against free radicals. Functions as a neurotransmitter that helps improve how the mitochondrial-benzodiazepine receptors stabilize energy levels. Also known to cause adverse effects. Sweating, headaches, chest pain and rapid heart beat. If you are instead interested in diet pills with all natural ingredients, check out the top 10 list. This product comes along with a 45 day money-back, risk-free guarantee. This product is not highlighted as a weight loss product. It does not suppress appetite, nor help burn fat. It’s main purpose is to help as a menopause aid, which while good in it’s own right, is clearly not meant for everyone, including not only men, but younger women. An important aspect of any weight loss plan is exercise, which this product lacks. Exercise is always important to keep up, and if it is not included, regardless of menopause or not, weight loss is a much harder goal to attain. This product also contains monosodium L-glutamate, also known as MSG, which may induce adverse effects which may include chest pain, sweating, even palpitations. If you are woman experiencing menopause this may be the product for you. However this is for menopause, and as such, you shouldn’t expect weight loss results as typical, as some users have reported. Overall this is not a weight loss product, but a menopause product. It may have some value in helping with weight loss, but that is not the primary concern of this product. It’s inclusion of MSG also is a cause for some concern because of the adverse effects it may cause. 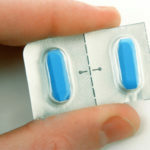 There are diet pills out there that are safer and more geared toward helping people lose weight. Women experiencing menopause may find this product helpful, but there are reviews available that claim this product is less than exemplary. If you want to lose weight, you might as well look into a product that focuses on that entirely. 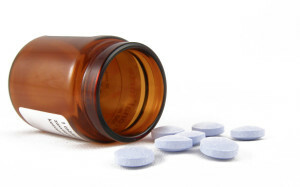 We recommend looking into other more effective diet pills.